Came with a swing plane change, which has given him more power, so it's fine. With Corey Seager emerging as a superstar, assuming now WS this year, you think the Dodgers try to push all in for 2017? Prime Kershaw/Seager is a hell of a head start that you have to capitalize on right? With Friedman at the helm, they'll never push all in with all of their prospects. Do you have an opinion OMG Garrett Richards non-TJ recovery? Surgery is not always the answer. Gun to your head, gotta part with one: Russell or Baez? part with Baez, as much as I like him, Russell is brainier, progress more steady. Sean Manaea is already well past his previous career high in innings. A) Do you think he gets shut down soon? B) Are the A's bucking the trend of placing innings caps on pitchers? He's only ten past his number in 2014, and he was injured some last year. I bet they give him one more start. Eno I know it's only September 22nd, but your championship aspirations for writing the rest of the season are toast, finished. Yeah you're right right index finger is fine, but that broken nail on your ring finger and middle finger tendonitis are going to bog you down to 20 wpm. Sure Fagerstrom has two bad shoulders, Cameron is busy moving, and Sullivan has already passed his career high in articles written, but I just can't see it Eno. but my sprained finger is fine! Gregory Polanco has struggled a bit with breaking stuff this year and its clearly one of the last adjustments he needs to make. How confident do you feel that he can make those adjustments? He's always struck me as a guy who takes a little longer than most to make them, but he gets there. I've been confident he would get here for so long I'll stick with him. you could knock over the adobe, i bet. 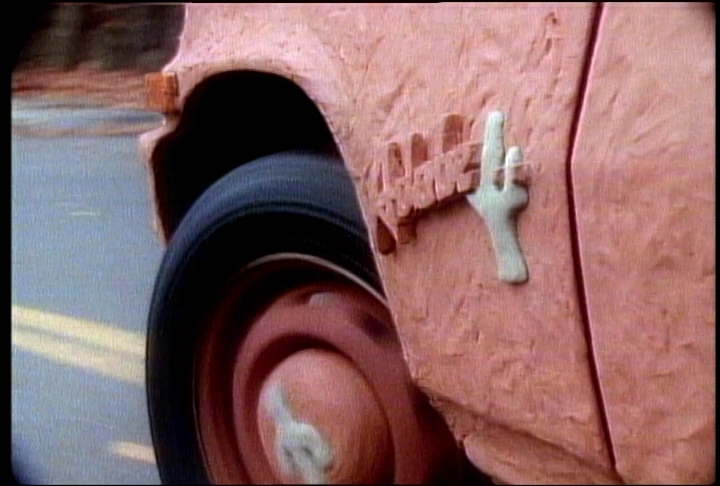 the little car that's made out of clay! If a team goes knocking on Cincy's door this Christmas and were willing to pay all of the 200 million on Votto's coming years what do you think they'd still need to give up in trade? If they paid the money, they could get some awesome stuff in return and would not have to add. I'm going to Boston in a few weeks.. Give me some breweries to explore. Trillium for take home, they might have a tasting room somewhere now. Night Shift. Cambridge is okay. Greinke seems to be duplicating his 2013 numbers, with worse results. Anything troubling about his pitches or is this mostly ballpark? Home splits are terrible. He won't admit it to me, but he has admitted that the slider is tougher to command this year, and put that together with what Chris Bassitt said -- AZ is terrible for breaking ball command -- and I think that's what's going on. Good thing he has great command of three other pitches. The Washington Post did an informal survey and decided that Dogfish Head's Punkin Ale was the best Pumpkin beer. Your thoughts? Put them all into a rocket and fire them into the sun. Am I the only one who thinks Sean Rodriguez looks like LiL Sweet? what is your dark horse world series matchup? Eno: how close is Folty to becoming a top 50 SP? Great whiff rate w/changeup and curveball (doesn't use them often enough for some reason) and high velocity FB should = success, no? Also ahead in count at a top-five rate, just throwing into the zone and betting on his stuff. He's a mixed league sleeper. Any faith that Matt Wisler and Aaron Blair figure it out and atleast are solid #4 types? So you often here about guys who profile as a one through five starter. When it comes to #1’s I know who those guys are in the majors, but the farther you go down the rotation, the cloudier it gets because really no team has a prototype guys in each slot. Could you maybe give an example of one guy who best represents a 2, 3, 4 and 5?